I'm on the A Jillian Vance Design Blog today with this fun starburst technique using a mask and Distress Inks. 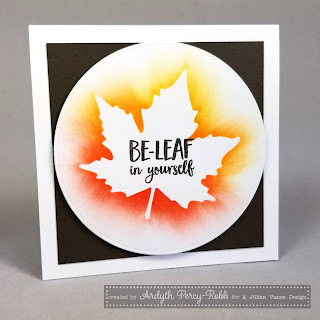 Also linking up to Time Out #90 where the theme is Autumn. 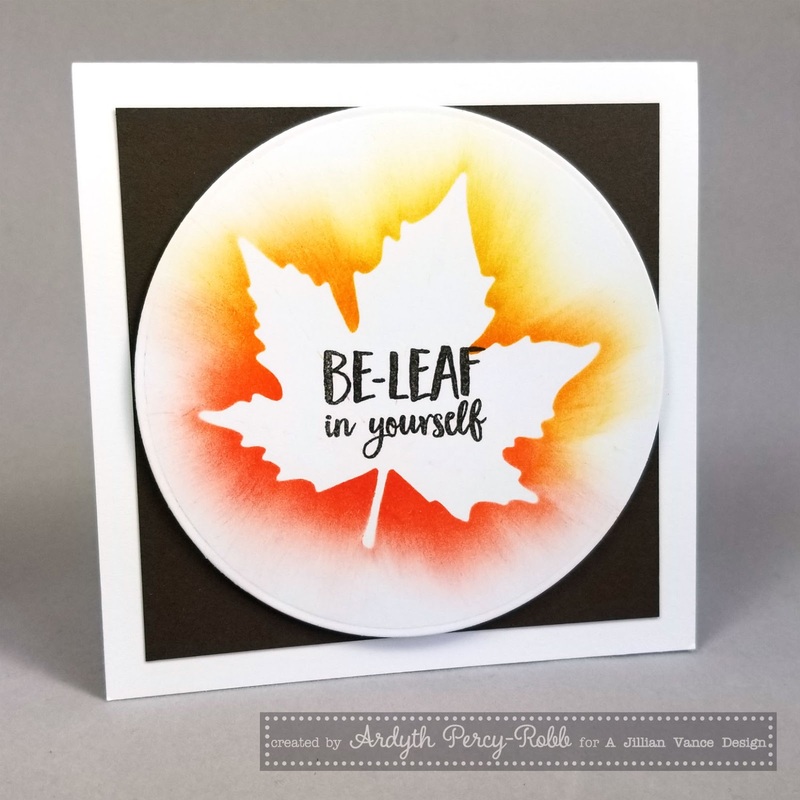 I think this is fantastic, love that great big maple leaf and it totally pops with the Ontario Autumn colours! Wow, this is super cool Ardyth. Love the way the colors burst forth, perfect for the time out challenge too. always love your quick videos and this one is no exception! Fabulous card! Thanks so much for playing with us at Time Out! Beautiful card, Ardyth. It really makes a statement. What a wonderful technique, I love this look! The dark base card adds a lot of drama and interest, a wonderful design! Thanks for joining us at TIME OUT! Love, love, love this card Ardyth!! The bright colours against the black and white is stunning and that leaf image is such a perfect size. So glad you shared this with us at TIME OUT!!! !